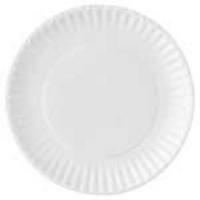 Paper Picnic Plates 9" - 100 Count. Convenient plates are handy and inexpensive. Comes in wrapped bundles of 100 for easy storage.